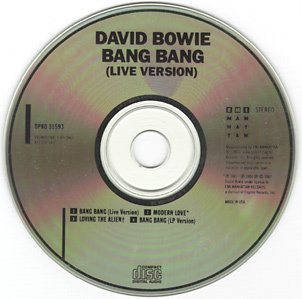 Bang Bang (Live Version)/Modern Love/Loving The Alien/Bang Bang (LP Version). Promo-only CD-single. This live version was recorded in Montreal, Olympic Stadium, 30-08-87.